Following a startling Pink Floyd cover version, another big shock occurred at the end of “Have A Cigar,” when Bob Kraushaar was just starting to let rip on a “hot” guitar solo, when the song made a dramatically harsh EQ segue where the sound compressed down to AM transistor radio quality and transitioned to the next song. Just like the original did. Only this time the next song was another cover. Paul Humphreys sang his only lead on this album via a cover of Cat Power’s ballad, “I Don’t Blame You.” While I have heard the name, I have never actually heard Cat Power. It was an earnest, but melodic, sensitive ballad sung beautifully by Humphreys, but it sort of stuck out on the album like a sore thumb. I can’t say I dislike it, but it did not belong here. 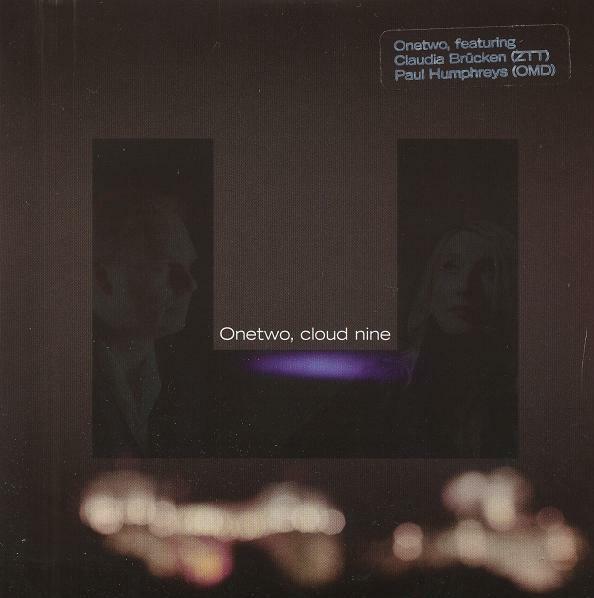 The song “Cloud Nine,” from the “Item” EP as well as a single in and of itself, followed again. While the song has some nice lyrical touches and singing from Ms. Brücken, the 70s wah-wah guitar from co-writer Martin Gore, was the only instance of guitar on this album that did not add considerable scope to the track it appeared on. Every time I hear this song, I become impatient for the next song to follow. Never moreso than on the “Cloud Nine” CD single [R], where the godlike “Kein Anschluß (SITD Mix)” appeared next! Next came another high-profile collaboration. The aptly named “Anonymous.” This time between the band and Mr. Andy McCluskey. Yes, it’s OMD and Claudia Brücken writing a single track together. Unfortunately, it’s the weakest song here for these ears. The musicbox pacing paired with MOR sound design and that dreaded shuffle beat, conspired to make this one a real chore to sit through. That it sounded like Autotune® artifacts slathered all over La Brücken’s vocals was no further help. For a much, much finer pastoral excursion that sounded as natural as breathing as compared to the contrived exercise of “Anonymous” one could hardly do better than “Heaven” which was yet another co-write between Ms. Brücken and The Startled Insects. Yeah, I never heard of them either, but this song has the goods, complete with languid guitars from Charles Reeves and James Watson adding immeasurably to the vibe. Brücken’s near-whispered vocals found just the right level of intimacy for the delicate and beautiful number; as intimate as sweet nothings whispered in your ear. “Kein Anschluβ” sported an arrangement that had chord progressions that evoked Depeche Mode ca. “Black Celebration”-“Music For The Masses.” It had much more of that Imperial Period Depeche Mode mojo than did “Could Nine.” It added a much needed energy level goose to the second half of the album just when it needed it. As good as it was, the SITD remix on the “Cloud Nine” CD-5 was a case of making a silk purse into a gold brocaded silk purse! The latter was so good the admittedly great album mix now paled in comparison. 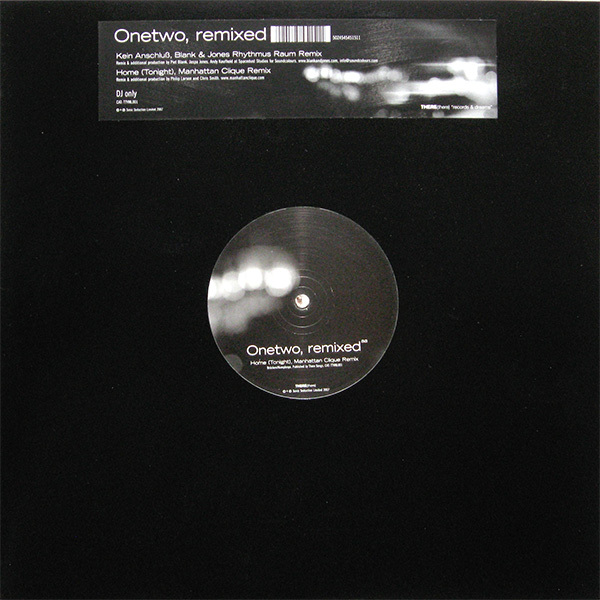 A Blank + Jones 12″ that was vinyl only also remained subordinate to the SITD remix. The album returned to a pastoral theme to close out with “The Weakness In Me” and “A Vision In The Sky.” These last two songs were linked not only by a complementary reflective mood, but also by the languorous, zero gravity deep space guitar licks courtesy of session monster/co-writer Gary Lucas. His playing added a brilliant touch of weightlessness to the proceedings, and the stunningly gorgeous abstract glissandos on “The Weakness In Me” made a fantastic song just about perfect. You see, this proved that man did not live by synth alone. As I have maintained for years, it’s the intersection of conventional instrumentation and technology that yields the most fascinating results, though Lucas’ guitar was so heavily treated that it was practically a synth. The closing “A Vision In The Sky” walked a fine line between melancholy and optimism, with the arrangement skirting the boundary between those two states like the coyest of suitors. At the 3/4 mark, the radiant guitar of Mr. Lucas finally pushed the song into a redemptive hopeful state after adhering to caution for much of its length. This album was a big relief after the “Item” EP. Part of that disc’s failure came down to two versions of “Sister,” a song written by Humphreys about his recently deceased sister. It’s churlish of me to complain about a sincere tribute, but just watch me do it. The song did the band no favors by sounding exactly like a Listening Pool track! That was most assuredly what this project did not need. Coupled with the failed Propaganda demo of “Cloud Nine” and the two sole bright spots on that EP were the very Kraftwerkian version of “Signals” and “Element Of truth,” the clear winner on that EP. When they convened for an album three years later, the material was pretty strong and diverse. If the Cat Power cover had me scratching my hear, at least I never felt like fast forwarding past it. Unlike “Anonymous.” The first half was pretty unimpeachable, but near the end, the second half finally got back on track. With the exception of “Cloud Nine,” I really enjoyed all of the guitar used sparingly on the album. If there had been more of a live band vibe here with Humphreys providing a machine-like sheen throughout it, they might have come up with a classic instead of a modest success. 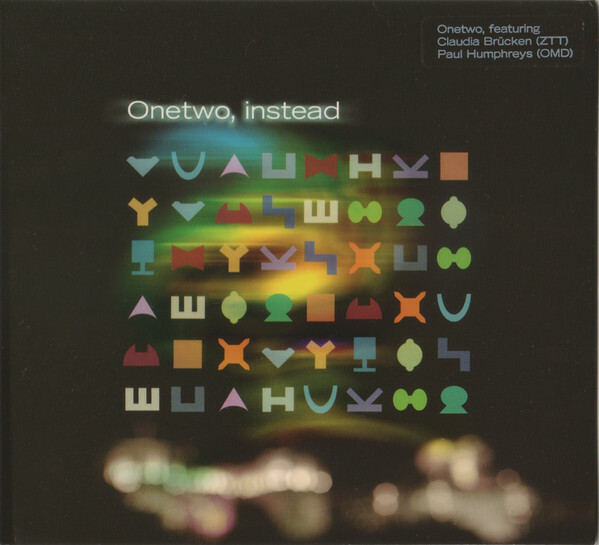 There was chatter in the 2011-2012 period of a second Onetwo album being written, and Brücken’s curse of project discontinuity [Propaganda, Act, and Onetwo never had followups with her] being finally banished, but three factors contributed to its tabling. One supposes that any material may be recycled by Brücken in her solo career. The continued rise of OMD mk III that happened the very next year would be a constant drain on Humphreys resources going forward. The “This Happened” concert CD/DVD by Brücken was an important career retrospective that needed to happen. Finally, the abrupt professional and personal split between Brücken and Humphreys that happened five years ago closed the lid on Onetwo for good. Whatever happened, it happened quickly and with finality; leaving Humphreys fully immersed in the third coming of OMD, which we’ll be investigating next. This entry was posted in Core Collection, Rock GPA and tagged 2007, Andy McCluskey, Claudia Brücken, Martin Gore, OneTwo, Paul Humphreys. Bookmark the permalink. Overall, I enjoy Instead quite a lot. I think I wasn’t expecting a melding of OMD and Propaganda – mostly because OMD composed as a duo, and Propaganda songs were always Ralf Dörper’s and Michael Mertens’ the lyrical/musical center. For Paul and Claudia to attempt to be either of those things would have also lacked any originality in their art – something I feel like they both hold as important. I have to say, as unremarkable as the Item EP was, when hearing Cloud Nine in the context of Instead, it took on a different sonic color for me. But it’s mostly Brücken’s vocals that capture me. That wah-wah guitar is so buried in the mix that it never really stood out enough for me to have an opinion of it. Heaven is a beautiful, quiet, song. The mournful guitar has a real voice. Claudia’s vocal is perfect. Kein Anschluβ comes the closest to having an OMD/Propaganda crossover impact, but what it really reminds me of is Karl Bartos – more as inspiration than sound. Have to agree regarding the beauty of The Weakness In Me. The collaboration of Gary Lucas and Paul Humphreys is not what I would call a natural fit, but man it works here. Lucas is a character. I love his slightly modern and reverentially irreverent album of Captain Beefheart songs he did with Nona Hendryx last year.